Gautreaux has taken an age old Democrat position: Threaten the public with reduced services if taxes are not enacted or renewed. It’s a tired argument. Perhaps the issue is not the tax, but the spendthrift practices of the new Sheriff? The EBRSO’s figures used to promote the tax renewal appear to be a bit out of kilter. On the EBRSO website, a flyer promoting the election indicates that the millage generates $12.3 million for the EBR Sheriff’s Office, while The Advocate reports that the EBRSO’s take is $13.8 million from this millage. That’s quite a gap. Which figure is accurate? While there is no doubt that we need to support law enforcement, taxpayers would be better served to receive consistent, accurate information when asked to renew a millage that has a $1.5 million chasm. Furthermore, in reviewing the Louisiana State Audits of the EBR Sheriff Office, some interesting facts caught my attention. It also changed my mind about the tax renewal. The good news is that assets exceed liabilities. The current reserve is $26.2 million in total assets. The 2007 budget indicates annual net assets of $2.2 million, annual revenue of $61.3 million, and annual expenditures of $59.1 million. 2008 budget figures indicate annual net assets of $3.3 million, annual revenue of $68.5 million, and annual expenditures of $65.2 million. This is an increase of $7.1 million in annual revenue, and an increase of $6.1 in annual spending. In 2009, with Gautreaux in his second year in office, the budget indicates he overspent to the tune of $1.9 million, with annual revenue of $72.6 million, and annual expenditures of $74.5 million. This is an increase of $4.2 million in annual revenue, and an increase in annual spending of $9.3 million. In two short years, Sheriff Sid Gautreaux is quickly spending the assets of the EBR Sheriff’s Office. The revenue has increased by $11.3 million, while spending has increased by $15.4 million under his watch. If Gautreaux continues to overspend, we are looking at a need for even more tax dollars to underwrite his spendthrift practices. Do the math. As we all know, if you continue to overspend, you will eventually deplete your savings. No wonder Sheriff Gautreaux wants us to renew the tax millage. 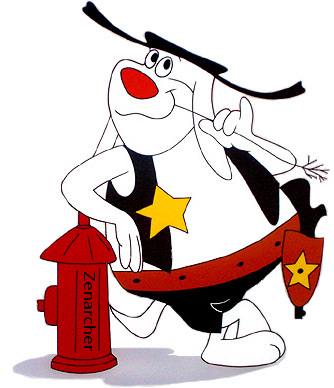 Although I have great respect for Tax Buster’s leader, Fred Dent, I can’t help but wonder if he took time to read the State Auditor’s reports on the Sheriff’s Office annual budget when he so readily said we should support law enforcement by voting yes to the tax renewal. Again, I have to say NO to taxes – even though it is a renewal. It is important that we not endorse spendthrift practices of our tax dollars, and that we hold our elected officials accountable for balancing budgets and spending less than we take in — otherwise, we are headed down another slippery slope. When Gautreaux ran for office, he clearly stated that he could increase services without raising taxes. Was this just more political talk to get elected? Why has there been such a dramatic increase in spending? How long can we afford to spend more than we take in at the EBR Sheriff’s Office? Mayor Kip Holden endorsed Gautreaux for Sheriff. It all makes more sense now. Spendthrift birds of a feather flock together. Crime is on the increase in EBR Parish, and so is the EBRSO budget. This speaks volumes. Say NO to the tax renewal, and YES to spending less than we take in at the EBRSO.